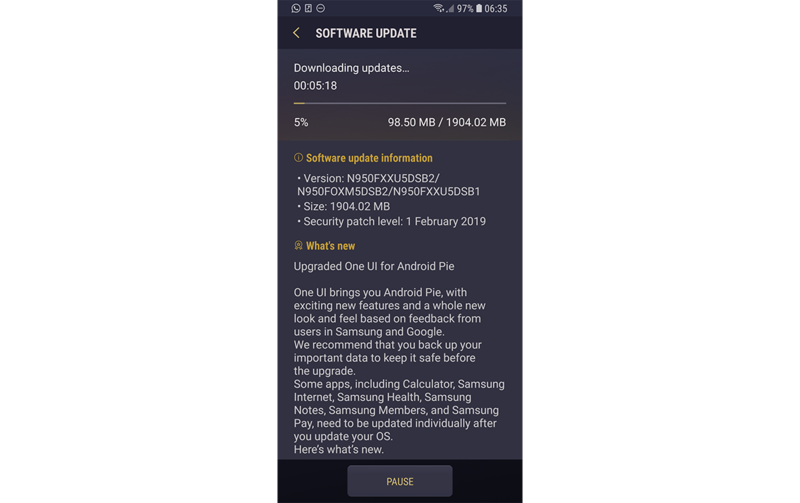 Update 1 (2/15/19 @ 3:22 AM ET): Very shortly after the publication of this article, we received tips that the stable Android Pie-based One UI update is now rolling out in India as well. Samsung has gradually improved its handling of smartphone updates. The company recently updated the four-year-old Samsung Galaxy S6 with January 2019’s security patch update. Now comes a sweet delight for another, more recent flagship – the Galaxy Note 8. 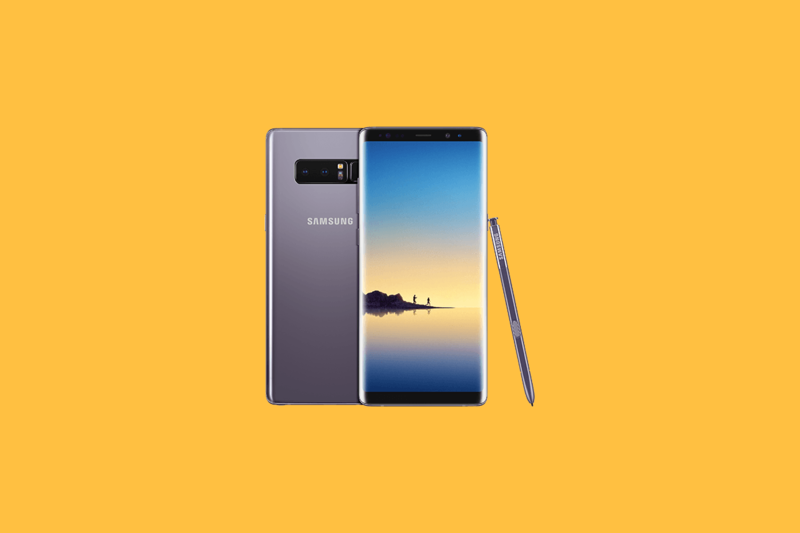 The stable version of Samsung’s new One UI, which is based on Android Pie, is now rolling out to the Exynos Samsung Galaxy Note 8 in certain parts of Europe. At least one user reported on Reddit about receiving the Android Pie update. The user, /u/Teo_Yanchev, notes that they are from Bulgaria in Eastern Europe. Checking Samsung’s FOTA servers, we can confirm that build numbers N950FXXU5DSB2/N950FOXM5DSB2/N950FXXU5DSB1 are rolling out in the BGL and ORX regions, which are Bulgaria and Slovakia respectively. Meanwhile, users from the U.S. have yet to receive the update, so it appears to be a region-wise roll-out. As per the changelog, the update brings Android 9 Pie with One UI and February 2019 security patches to the device. The update is almost 2GB but that is justified for the visual and performance upgrade it promises. After recently pushing the update to its flagships from 2018 – the Galaxy S9/S9+ and Galaxy Note 9, Samsung has been taking older phones more seriously. Last month, it started beta-testing One UI for the Note 8 as well as the Galaxy S8/S8+ in regions including South Korea, the U.S., and India. The Samsung Galaxy Note 8 received its fourth beta earlier this week and we now have the first stable build. If you’re not familiar with One UI, it is the redesigned UI from Samsung which replaces the earlier Samsung Experience UI. It brings more minimal icons, an Android Pie-like notifications shade, navigation gestures, a system-wide dark theme, and much more. For an in-depth dive, you can take a look at this comparison between One UI and the older Samsung Experience UI. As for this update for the Galaxy Note 8, while it has started rolling out for parts of Eastern Europe, we’ve yet to learn about availability in other regions. The update roadmap that was shared by Samsung tells us the update should begin rolling out this month, though. Meanwhile, if you’re using a Samsung Galaxy Note 8 in either Bulgaria or Slovakia and haven’t received the update yet, you should get it in a few weeks. Lastly, we’ll update you when we witness a wider roll-out of the update. Users in India are also receiving the stable One UI update on their Exynos Samsung Galaxy Note 8. One of our readers sent us the following screenshots of the update notes. Multiple users on Reddit are also getting the update. Thanks for the tip, @SamuraiTron1 on our Telegram group!